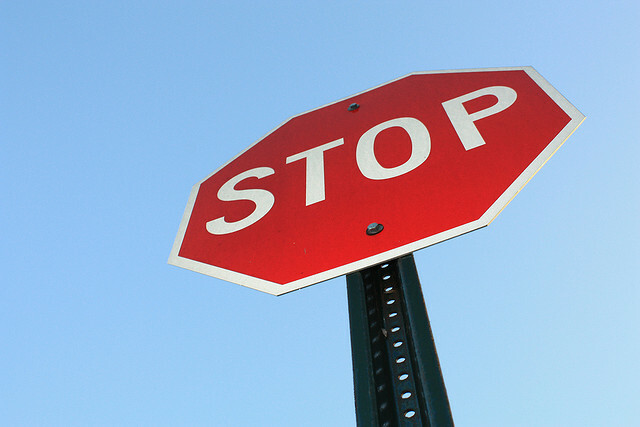 What happens if permission is denied? The University’s PGR Thesis and Examination policy states: “Following the viva voce examination, after any changes have been made to the thesis (if required), one case bound (hard bound) copy and an electronic copy of the thesis must be submitted to the Graduate School. The electronic copy will be deposited in NECTAR, the university’s open access institutional repository, in accordance with NECTAR’s Terms and Conditions.” (p.3). Once in NECTAR, your thesis will be harvested by the British Library’s e-theses online service, EThOS, and indexed by search engines. It will be available to anyone who wishes to read it. The procedure for the submission of post award research degree student theses is outlined in this document. Timing: Following the meeting of the Research Degrees Committee which recommends the award of your research degree to Senate, you will be asked to submit (on CD, DVD or USB drive) one hard bound copy of your thesis and an electronic version. At the same time, you will also need to submit a completed Thesis Submission Form (available here). Note that you are responsible for ensuring you have the necessary copyright and permissions for your work before submission (more about this below). Practice-based research degrees: If your PhD is practice based you should submit both your written work and your practice (or documentation of it). 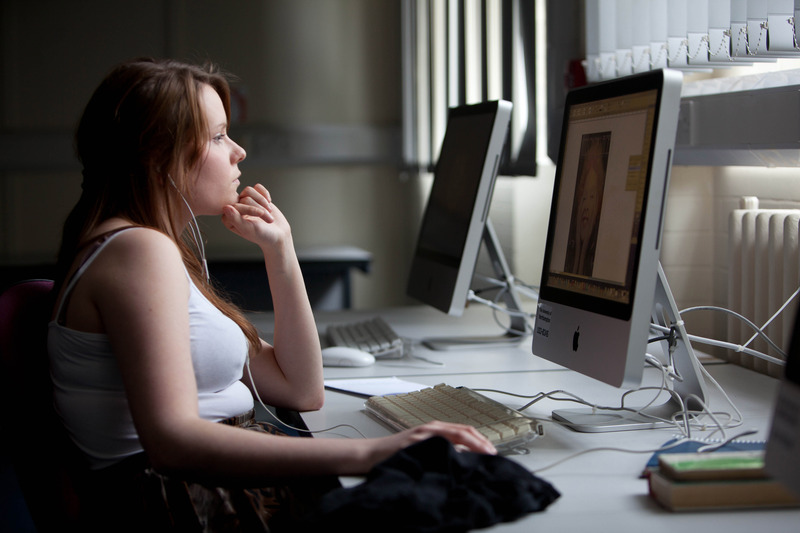 When submitting the files, you should make clear how they should be uploaded and subsequently ‘read’ in relation to the written component of the thesis. All research degrees – full text: You should submit the full text of your thesis, including a copy of the abstract and, optionally, any supplementary information (such as multimedia files, datasets etc.) that you wish to accompany the thesis. If you are uncertain about the suitability of these for upload or dissemination then contact the NECTAR team for advice. All research degrees – metadata: NECTAR can make public a range of metadata which showcase your work and help others to find and use it. Examples of useful metadata include keywords, the names of your supervisors, your funder and project details (if relevant, e.g. if you have been working within a funded research group), your ORCID identifier (if you have one) and links to related web pages and other documents. If you have published from your thesis then you may wish to provide a link to the article(s). You might also choose to assign a Creative Commons licence to your thesis. Subject to the provision of appropriate third party copyright permission, Research Degrees Committee has recommended that a suitable licence for theses in NECTAR is CC BY-NC-ND. This will allow readers and services such as EThOS to download, copy and redistribute your thesis subject to full attribution to you, non-commercial use and no modification. However you may request a less restrictive Creative Commons licence. Acceptable file formats: Ideally, you should try to use the more common file formats; this is to enable more prospective readers to gain access to your thesis and increase the chance of the files being successfully preserved in the future. The current NECTAR recommendations comprise: MS Word, PDF, RTF and HTML for text; PNG, TIFF or JPEG for images; MP4 or MOV for multimedia and MP3 or WAV for audio files. You are encouraged to submit files in these formats but could discuss alternatives with the Postgraduate Research Manager. Deposit in NECTAR: This will be done on your behalf by the LLS NECTAR team. A cover sheet will be added to each thesis and the full text and any accompanying files will be uploaded to NECTAR; appropriate metadata (as supplied above) will be created. Metadata will be made visible immediately. Full text and supplementary files will be made visible immediately after the award of your degree unless you have requested an embargo period on your Thesis Submission Form. An embargo is a temporary restriction on access to the thesis. The University permits an embargo of 12 months to enable you to publish from your thesis. Any embargo over 12 months must be agreed by Research Degrees Committee. Other reasons that you may wish to restrict access to your thesis include ethical considerations; data protection; commercial sensitivity; contractual obligations or patents pending. Again, you should seek approval from Research Degrees Committee if you wish to extend the embargo period for these or any other reason. Ownership of copyright in a research degree thesis usually rests with either you (the research student) or the University, depending on the your employment status and your contractual arrangement, if any, with your funder (see the University’s IP policy sections 3 and 4 for details). However, if you wish to include content from somebody else’s work then the copyright in that content will not belong to you. This is known as third party copyright material and could include, for example, blocks of text, poems, images, charts, diagrams etc. Prior to submission of your thesis for examination, you can safely include limited amounts of third party copyright material in your thesis, as long as you sufficiently acknowledge the source (see Section 32 of the Copyright, Designs and Patents Act 1988). 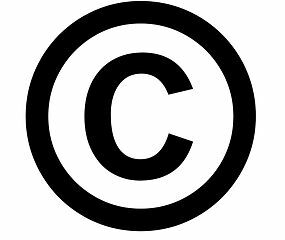 However, if your thesis is to be made publicly available in NECTAR then this exception to copyright law will no longer apply and in most cases you will need to seek permission for the use of such materials from the copyright owners. An exception is that of short quotations which are appropriately cited and referenced. These are covered by a ‘fair dealing’ exemption to copyright law which allows a short extract of previous work to be reproduced for the purpose of criticism or review “provided that it is accompanied by a sufficient acknowledgement and provided that the work has been made available to the public” (Section 30 of the Copyright, Designs and Patents Act 1988). If you have any doubt about whether your use of an extract qualifies for this exemption then you should seek permission from the rights holder. It may not be immediately apparent who owns the rights to a piece of work; for example, it could be the author, publisher, photographer or someone else. However, for most published content it is worth contacting the publisher in the first instance; if they don’t own the rights they may be able to put you in contact with whoever does. Many publishers display information about rights on their website, and may give details of how to seek permission. 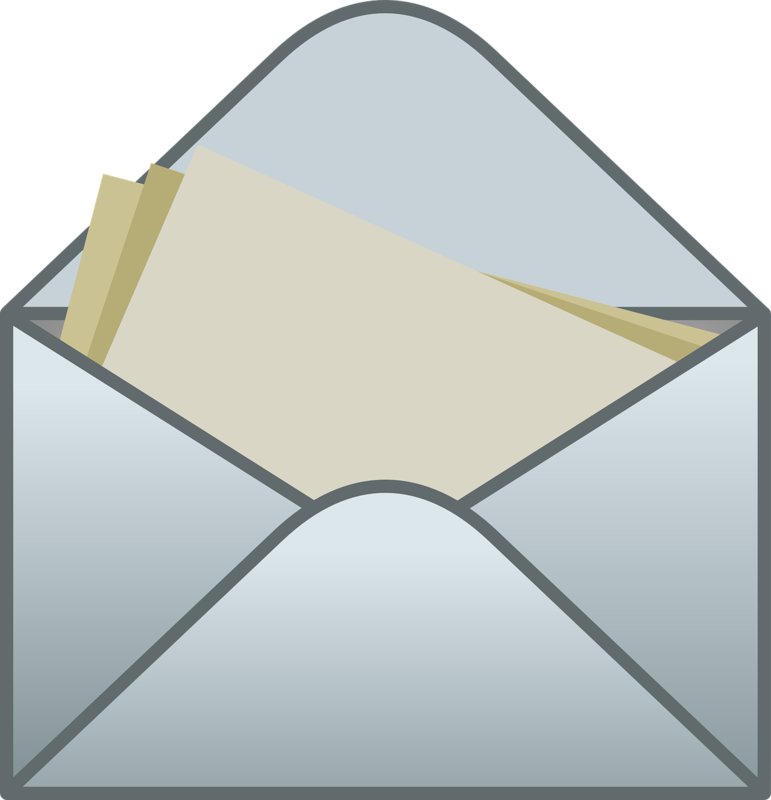 Once you know who to contact you can send them a letter or email. Sample templates of letters for this purpose are given below. If the rights holder does not reply you may have to contact them again, but please be aware that a lack of response does not mean you have permission to reproduce the work. If you are granted permission then you should indicate this at the appropriate point in your thesis, e.g. “Permission to reproduce this … has been granted by…“. You should keep a copy of any letters or e-mails you received from rights holders. The thesis will be made available within The University of Northampton’s institutional repository (http://nectar.northampton.ac.uk). The repository is non-commercial and openly available to all. I wish to include this work within the electronic version of my thesis, which I am required to deposit in The University of Northampton’s institutional repository (http://nectar.northampton.ac.uk). The repository is non-commercial and openly available to all. If the rights-holder either refuses to grant permission or fails to respond to your request then you will not be able to make the full version of your thesis available online. You should still supply a full electronic copy of your thesis to the Graduate School. This will be uploaded to NECTAR for preservation purposes but not made openly available. You may also supply a redacted copy of the thesis (i.e. one from which the third party material has been removed) which can be made publicly available. This makes sense if the third party material is in a few, self-contained blocks (e.g. a whole poem, an image or a survey instrument) and the integrity of the thesis is not seriously damaged by its removal. Each time you remove third party material you are advised to replace it with a note referencing the original item. What’s in it for me? 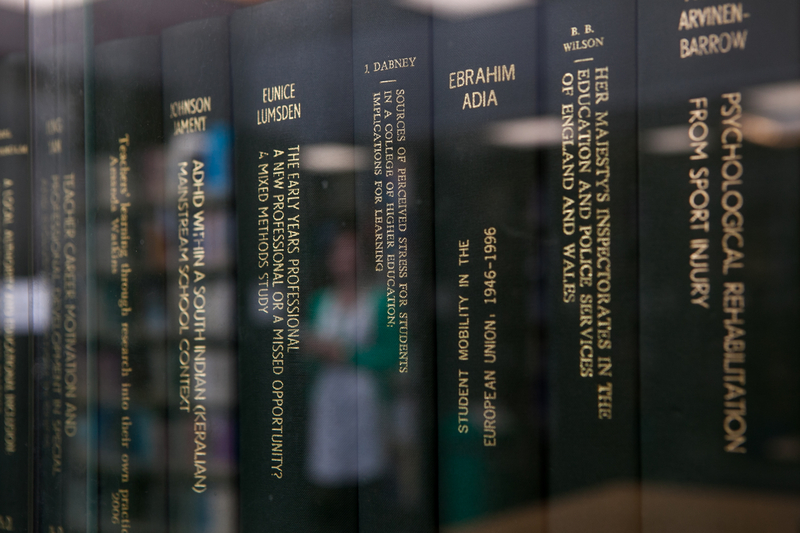 NECTAR is the University’s showcase of research. Your thesis will take its place among the research outputs of your University colleagues. It will be visible and accessible through Google, Google Scholar and other search engines. It will be discoverable through the British Library’s EThOS service. All of this means that your thesis will be highly accessible to present and future colleagues, employers and publishers. Theses are among the most downloaded items from NECTAR. The highest ranked thesis, Monna Arvinen-Barrow’s ‘Psychological rehabilitation from sport injury: issues in training and development of chartered physiotherapists‘, has been downloaded well over 4000 times. By uploading your thesis to NECTAR you will have a permanent home on the web for it and a URL that you can share with others. What is EThOS and why will my thesis be put there? EThOS is the British Library’s online thesis service. The University of Northampton, like most UK universities, has signed an agreement to share its doctoral theses with the service, taking advantage of the extra dissemination opportunities it offers. EThOS has some 400,000 thesis records, of which around 160,000 provide access to the full text (About EThOS). Do I need participants’ permission to share my thesis openly? If you feel it is necessary to ask your participants for permission to disseminate your research (e.g. in a journal article) then they should also be told that you will be making your thesis available online in NECTAR. This will of course be subject to the usual ethical principles of confidentiality, anonymity and so forth. What happens if somebody objects to something in my thesis? In the unlikely event of a complaint being received, NECTAR operates a robust take-down policy. Your thesis will temporarily be removed from view, pending investigation of the complaint. Should I upload my research data with my thesis? The University’s research data policy encourages researchers to share their data where possible but it is not a requirement of your degree. If you wish to upload any of your data the NECTAR team can help. I want to publish from my thesis, if I make it openly available will I still be able to? Maybe. Publishers appear to differ in their attitudes to prior ‘publication’ of theses in repositories. Some are unconcerned, others may require the thesis to be taken down and, in the worst case scenario, some refuse to consider a paper at all if the thesis has been made publicly available (see the WRAP Publishers Survey). The safest thing to do is to contact your prospective publisher before you submit your thesis and, if necessary, request an extension to the standard 12 month embargo period to give you more time to get your work published. What does a thesis look like in NECTAR? NECTAR has over 200 records for theses, of which over 40 have publicly available full text. The requirement to deposit full text is relatively recent so the proportion is fairly low but growing steadily. A practice based thesis: Wu, I.-Y. 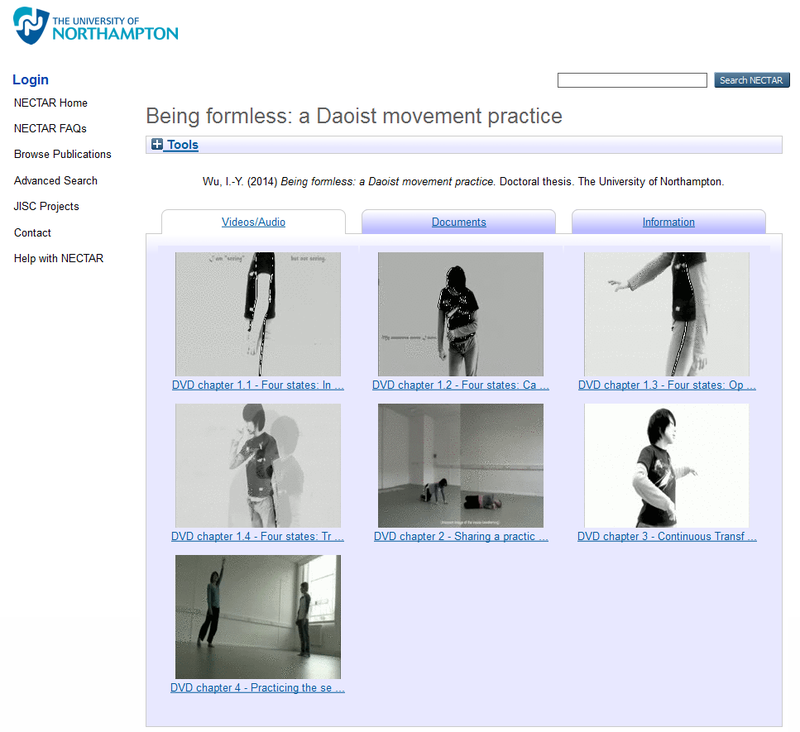 (2014) Being formless: a Daoist movement practice. A science thesis: Delaney, M. (2014) A cellular automaton – based system for the identification of topological features of carotid artery plaques. A history thesis: Russell, B. (2014) How elites gain, maintain and propagate status 1770-2012: A social capital perspective. If you have any questions about the subjects covered in this post, feel free to contact the Postgraduate Research Manager or the NECTAR team for help. *I am grateful to the University of Glasgow’s Enlighten service for the information on third party copyright and the templates for permission seeking letters. Posted on August 8, 2016, in Doctoral journey, Library and tagged copyright, EThOS, FAQs, howto, intellectual property, NECTAR, open access, policy, research students, research supervisors, theses, University of Northampton. Bookmark the permalink. Leave a comment.